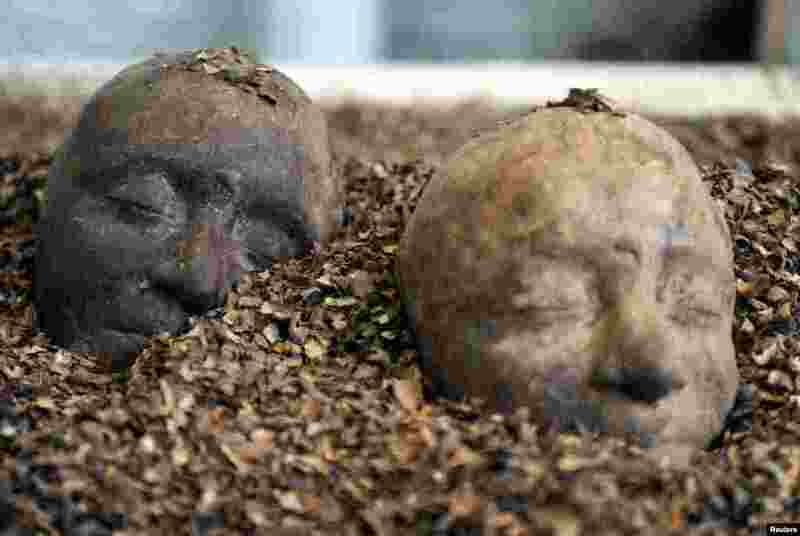 1 Two chocolate heads are seen in a pile of chocolate at the Brussels Chocolate Festival, Belgium. 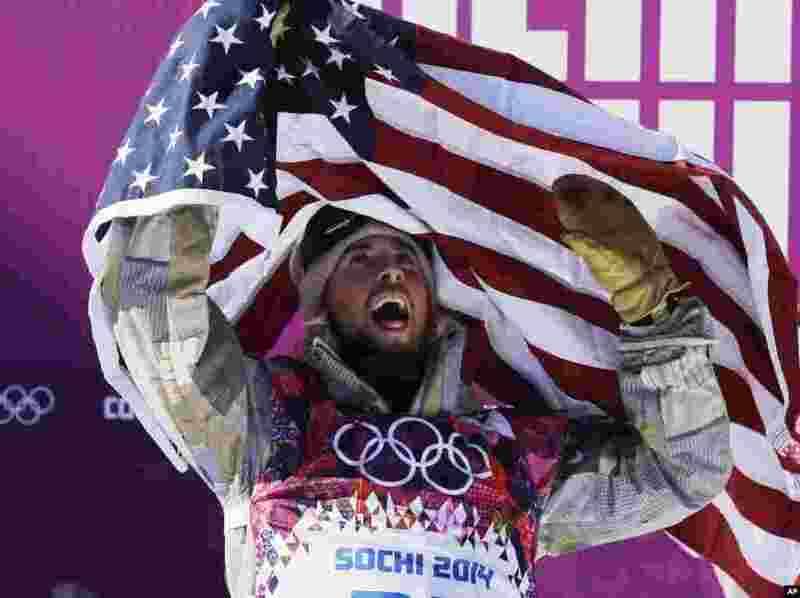 2 United States' Sage Kotsenburg celebrates after winning the men's snowboard slopestyle final at the Rosa Khutor Extreme Park, at the 2014 Winter Olympics, in Krasnaya Polyana, Russia. 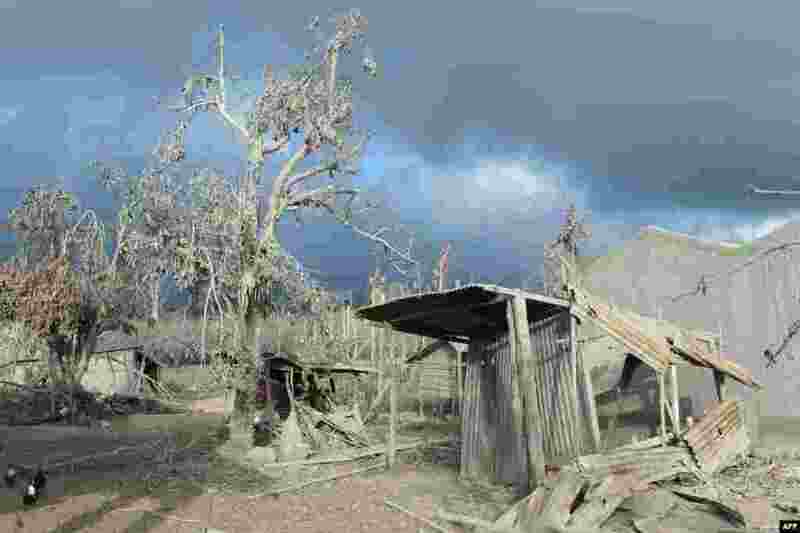 3 Debris and trees covered with dust after volcanic eruptions from Mount Sinabung at the abandoned village Kutarayat in Karo, Indonesia. More than 30,000 people have been displaced and as many as 16 people have been killed as Mount Sinabung continues spewing smoke and hot ash. 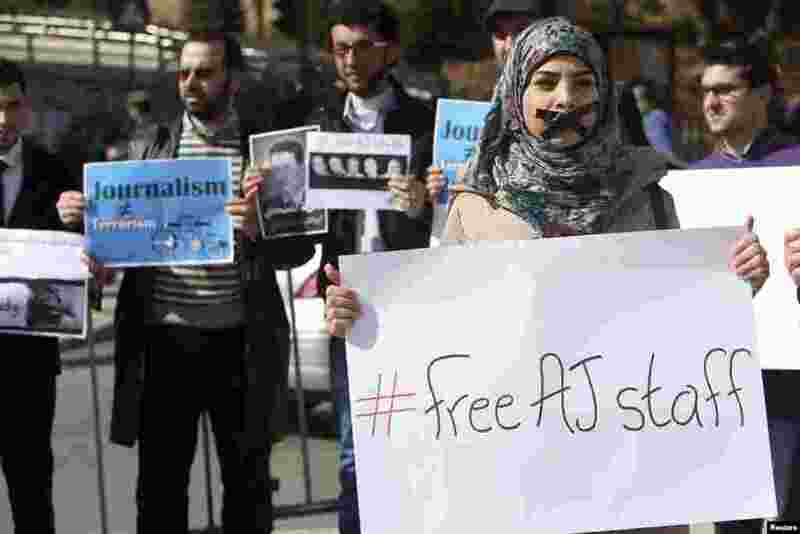 4 A protester, with a taped mouth, stands with a sign during a protest in Beirut, Lebanon, against the detainment of Al Jazeera journalists in Egypt.